There is no such thing as a perfectly wealthy city. True, there are some cities who are home to some of the wealthiest people and the most successful companies, located in wealthy countries with a stable government. However, things are not as pretty as they seem as some of the most cultured cities in the world struggle with poverty. Here is a list of 10 rich cities that have serious poverty problems. Considered a cultural capital in the world, London is actually one of the cities with the highest poverty rates. You find it odd? Well, you should not. Granted, London has great number of notable landmarks, art galleries, museums and schools, but, despite all that, 28 percent of its population lives in poverty. The official definition of poverty refers to having a household income that is less than 60% of the national median income that year. According to BBC News, the unemployment rate in London is higher than the England average and also, the number of 16 to 24 year olds living in London has increased to almost one million, and the unemplyment for this age group has also gotten as high as 25% in only 10 years.The level of rents vary across England. While the average rent is £475, it can get up to £1,300 in inner London. And still, thousands of people move to London every couple of months, and millions wish they did. Sillicon Valley is home to some of the world’s biggest company, including Apple, Facebook and Google. You would think that poverty is not an issue, since these companies worth billions of dollars. Think again! Yes, Sillicon Valley is booming with business, which leads to a vast amount of jobs available. But, despite its seemingly healthy economy, poverty is a big issue. Living in this city means an average family of four will need about $90,000 a year to cover rent, food, transportation and childcare. Also, the median price for a home is $550,000, while rent is a little under $2,000. Sure, some people can afford it, but most don’t. For examples, the average income for Hispanics, who make up 1 in 4 residents in Silicon Valley, is about $19,000, which makes living nearly impossible. The economy in this city works well only for those at the top. A new approach to economic policy needs to be adopted, otherwise, things will go down this path until there will be no coming back. 2,000 years old, Seoul is one of the most beautiful and wealthiest cities in the world. It has the fourth highest GDP of all metropolis and it is home to many of the biggest electronics and Technological companies in the world. While things may be going well for the younger generation, the elders suffer a great deal of poverty. The reasons of poverty are pretty clear. First, the 1988 Olympics, which were hosted by the city, caused great damage to inhabitants. Homeless people were forced to move to the outskirts of the city. Now, most of these people are seniors, of 70 or even 80 years old, and since Seoul has a big problem with supporting their senior citizens, they often live in depressing poverty. South Korea does not have a very efficient care system for the elderly, as it is customary that the children look after their parents and take responsibility for all the financial aspects. Of course, this is a huge burden. Another reason why poverty exists in Seoul is because of Korea’s dualistic labor market, in which a significant number of workers are only hired on a temporary basis with a low wage and benefits, all of this resulting in wage income. As a whole, the Seattle metro area has a lower poverty rate than the whole state does. However, the existing poverty rate is still intriguing, as Seattle is a city with the best employment opportunities in the United States. But, as it happens all over the world, one of the major problems Seattle faces is the wealth inequality. This is hardly news. The gap between rich and poor is growing in the United States and has been doing so for generations. According to director of the West Coast Poverty Center, Jennifer Romich, ‘‘The overall national picture suggests that economic growth is failing to reach everyone.”’. Only people in the top 5% have had their salaries increased, while the bottom 40% has not had a significance increase in a long time. moreover, the cost of living continues to increase, making it harder and harder for the bottom 40% to live decently. Seattle struggles with poverty and also homelessness. The rents are enormous, going up to $1,284. Therefore, people struggle to find alternative residences, such as parks, public places or their own vehicles. You may not believe it, but the shining beacon of wealth that Dubai is, also struggles with poverty. Dubai spends a lot of money on different projects, and the Burj Khalifa alone resulted in $1.5 billion, not to mention the man-made islands which cost about $25 billion. The country is famous for its luxury. So how come it struggles with poverty? Well, with the financial crash in 2008, it all went down. 99% of people who live in Dubai do not have a citizenship, which means they are exploited. All of Dubai’s grand constructions were built using mostly the labor of immigrants from India and Pakistan. It is actually much more difficult to earn money in Pakistan or India, so people save by living in for free in proper housing, taking advantage of the canteen, and still being able to send something back to their families. But, these immigrants live in harsh conditions, overcrowded, and unfairly paid. Some earn just about £140 a month for a six day week and do not have the courage to leave, because they know it is still better and easier than making money in their own countries. With an unemployment rate of 5,2% and a poverty rate of 10.3%., the 17th lowest in all united States, Honolulu is not such a great place to live. The median household income in Honolulu fell by nearly $4,000 between 2008 and 2012. Housing in the city is extremely expensive for residents, the city being one of the least affordable housing markets in the U.S. renting similarly expensive, with the median gross rent of about %1,500 a month, the second most nationwide. Japan’s capital city, Tokyo, has the highest GDP in the world. at the end of 2012, more than 460, 000 millionaires lived in Tokyo, more than in any other city in the world. Even though Tokyo does not seem like a poor city at all, poverty still exists. Of course, not in the obvious way, there is no begging on the streets and the homeless are rarely seen, but Tokyo does have its share of poverty. One group of people that is undoubtedly having problems is single parent families, with a poverty rate of 50%. Japan is the only country in the world where having a job, being employed on a long term basis does not reduce the overall rate for single parents. This only means one thing: that more than half of the single parents in Tokyo cannot afford their lifestyle and the children are the ones who suffer the most. Famous all around the world for its multiculturalism, Toronto is one of the best cities to live in. it is the commercial capital of Canada and the unemployment rates are incredibly low. But, like most big cities, Toronto has to face the income inequality, which would not represent such a big issue, were it not for the high cost of living. Toronto is the 70th out of 113 cities for cost of living and due to that cost, more than 149,000 children live in low-income families. Families which would not qualify as low-income, if the median rental prices were not that high. For example, one bedroom apartments in Toronto rent for $1,395 a month on average and two bedroom apartment rents average $1,902. 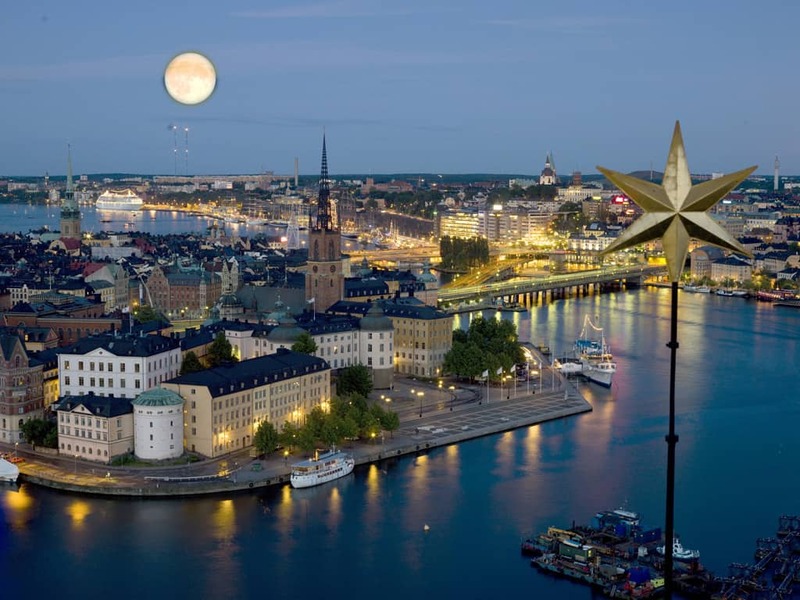 Stockholm is Sweden’s capital and the most populous city in the Nordic region and it is the cultural, media, political and economic center of Swede. Apart from all these, Stockholm is a beautiful city, with splendid architecture and clean streets, attracting thousands of tourist all year round. In spite of all, Stockholm does face poverty. There is a massive influx of immigrants, namely Romanian immigrants, who make their way to Sweden and live in slums. Not knowing the language, they cannot find a job, other than cleaning streets, from which they will never win enough money to be able to live decently. This is becoming a large problem in Stockholm and it does not look like it will be fixed anytime soon. The Big Apple, The City of Dreams, New York city is the most famous city in the world. New york is a leader in arts and culture and is one of the most visited cities with its numerous attractions like the Broadway District, Time Square, Central Park and The Statue of Liberty. Most importantly, New York is the home to Wall Street, giving NYC th second highest GDP for a metropolitan area. Also, New York is the city with the second most millionaires, with only 63,000 less than Tokyo. From the outside, New York looks like the most prosperous city in the world. Anyone who longs to be someone wants to be here. But take a closer look. NYC is known for having an incredible amount of poverty, owing to the act that it has the highest rent prices in the world. Between 2000 and 2012, the rental median rose by 75 percent, which led more than 45% of people to live near or below the poverty line. The average rental price is $3,017, higher than anywhere else in the world. during the winter of 2015, homelessness hit an all-time high, of 67,000 people, which is 14,000 more than there were in 2010. Admittedly, the Government is working on it, but even with the Governments trying to combat homelessness, the rates in NYC are still rising. Would you want to take a bite of the Big Apple?